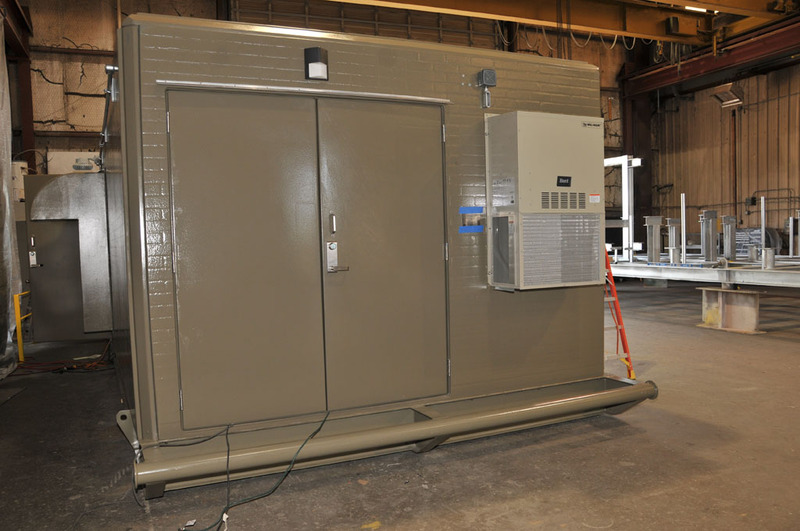 Recently Shelter Works was called upon to build a two room shelter to protect a Well Head Lease Automated Custody Transfer (LACT) in an arctic enclosure for a midstream company in Wyoming. We asked Integrated Flow Solutions’ Project Manager Dave Pollan about the system, who explained that for the midstream oil and gas market, this LACT equipment acts as a ‘cash register of sorts.’ With an elaborate web of pipes connected through knockout panels all along the walls, the LACT unit pulls the oil out of storage (from a holding tank outside of the skid) and tests it to ensure it is clean and available for transport. If not, there are reject oil diverter valves to redirect any unusable product. 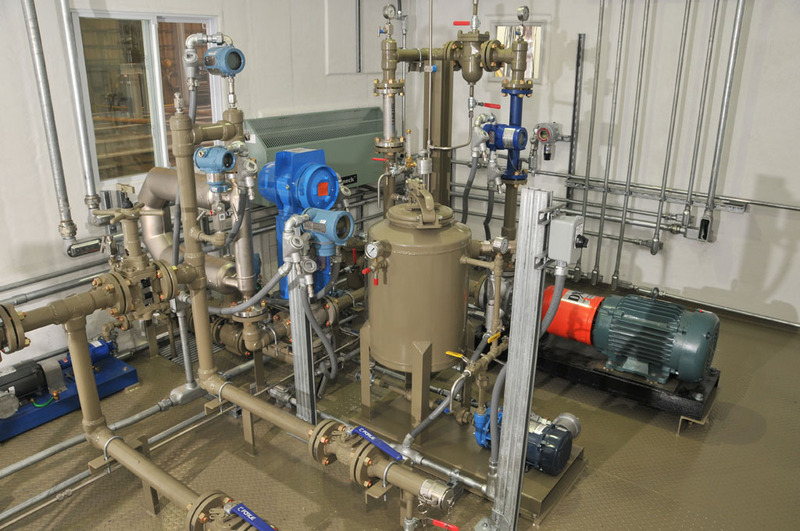 The clean product is measured by flow meters and then pumped into the pipeline for transport. 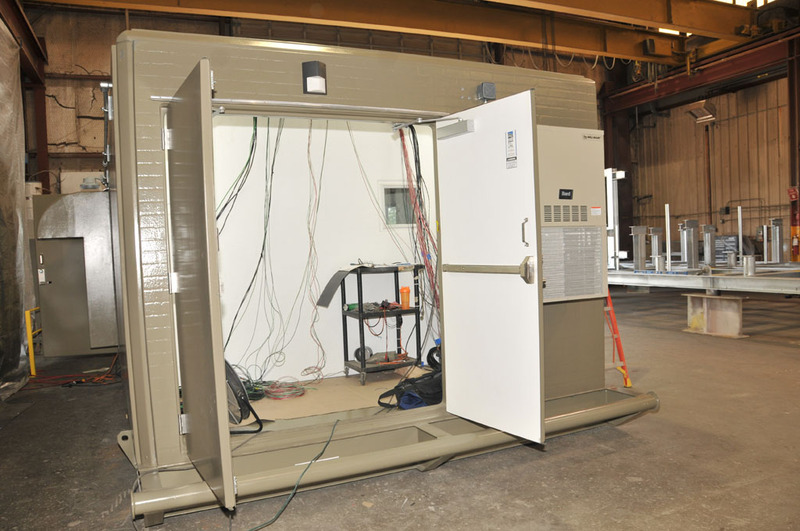 There are also custody transfer quality flow elements and transmitters, in-line mixtures and BS&Ws, as well as sampling systems being protected by the Shelter Works building. 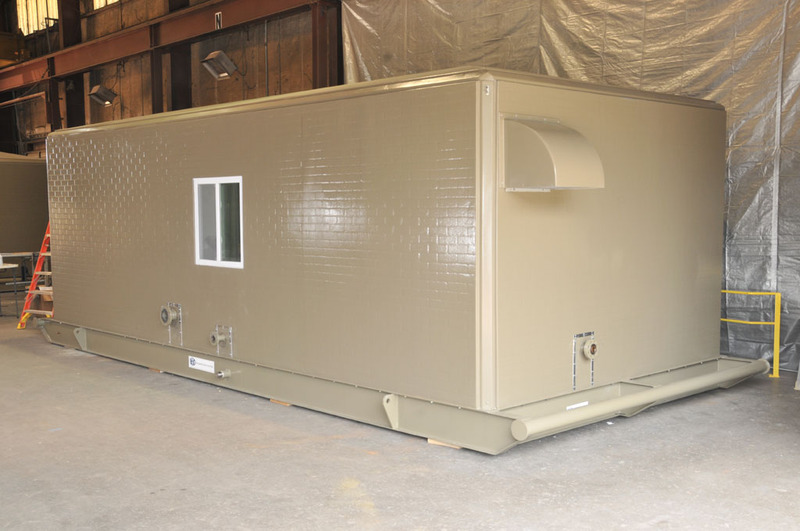 By putting a vapor barrier between the two rooms, each room is able to carry specific electrical classification. The equipment room is classified as Class I Div II, while the separate control room houses all the motor switch gear, flow computer, and associated electrical equipment that is sealed off from the equipment room. Because it is sealed from the equipment room, the control room carries a standard electrical classification. This provides better cost savings and easier maintenance in general. Pollan was asked why the Shelter Works building was eventually chosen for this project. “The quality of the Shelter Works buildings is exceptional–no other FRP building is even close to being as nice as a Shelter Works building.” Pollan went on to explain, “The customer knew they wanted an FRP building, but because Shelter Works could meet the high-quality standards and short delivery needed for this project, they chose Shelter Works over other cheaper molded fiberglass options.